If you look in the dictionary for a definition of hard-boiled detective, the definition only has two words...Mike Hammer. 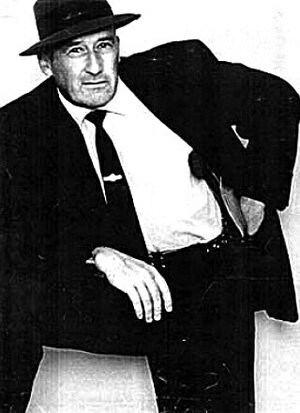 Hammer is based on the sometimes controversial character created by author Mickey Spillane in the Mike Hammer series of novels. Based of the Mickey Spillane series, Larry Haines stars as Mike Hammer-the ever entertaining handsome, violent, hard-boiled private eye. Tune in to any exciting episode which would not be complete without the ever beautiful Velda accompanything Mike while he insults some beautiful dame, takes a mysterious phone call, goes wild with reckless driving, and shoots some his gun off to solve the murder case. The series followed Hammer's adventures as he worked for all kinds of people, often meeting some dame of shady character who tried to seduce him (as much as you could on radio)! He has been shot, beaten up, threatened, and kidnapped...and that is just in one episode. Another character featured on the show was Hammer's secretary, Velda. In spite of the shady dames Hammer met, he carried a torch for Velda. That Hammer Guy ran on the Mutual/Don Lee Network from 1952 to 1954. Three different actors portrayed Hammer during its run: Larry Haines, George Petrie and Ted DeCorsia. Velda, and many other female characters, was played by Jan Miner. 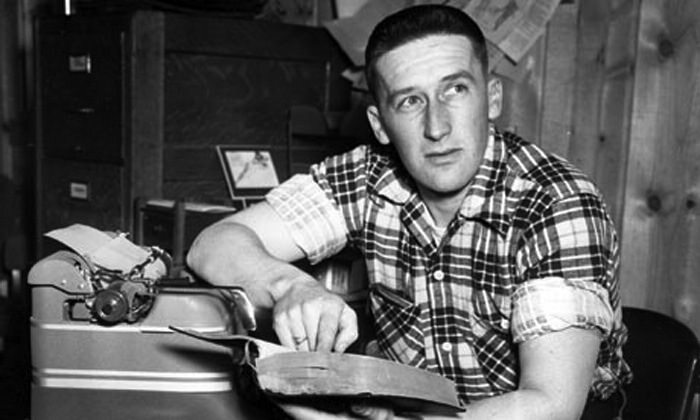 Mickey Spillane was an interesting character himself. He was a former flight instructor in the U.S. Army Air Corps and a devout Jehovah's Witness. Spillane's first Mike Hammer novel was I, Jury and was an immediate hit selling over 6-million copies. In addition to the novels and radio show, there were movies, comic books and television shows. Spillane even played Hammer in one movie, The Girl Hunters (1963). See also: Hardboiled Detectives Collection. Be the first to comment on "That Hammer Guy (Mike Hammer)"